The Perth Mint’s brand-new 2014 Australian Saltwater Crocodile is a trusted, cost-effective way of adding pure silver to your portfolio.This 1 oz .999 fine silver coin has a limited mintage of 1 million coins. Designed by Natasha Muhl, it bears the image of a saltwater crocodile. You can store your 2014 1 oz Silver Australian Saltwater Crocodile Coin safely and securely with Kitco Allocated Storage. Kitco offers global options for silver coin storage that are fully segregated, insured and allocated. Kitco's network of top-tier silver vaults include some of the most secure silver coin storage facilities located in Canada, Hong Kong or the United States (COMEX approved). Cayman Islands silver storage is also available (certain conditions apply). Founded in 1899, the Perth Mint is the official minting authority of the Australian Government. Fully owned by the state government of Western Australia, The Perth Mint has maintained an outstanding reputation for fine silver bullion coins among silver bullion buyers worldwide. Why sell Silver Crocodile Coins to Kitco? 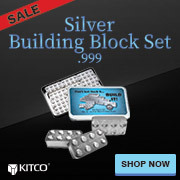 Kitco is a trusted leader in the silver coin and physical precious metals industry. Silver coins and other precious metals sold to Kitco are recognized in bullion markets around the world. With our focus on silver bullion coins, you can benefit from our competitive silver bullion coin prices and premiums within the silver coin industry. At Kitco, we make it easy for you to manage your tangible wealth. You can buy or sell silver coins and other precious metals using our convenient online store, or by contacting our team of highly trained precious metals specialists. Backed by our global information network, Kitco has proudly served our customers since 1977. The 2014 1 oz Australian Silver Saltwater Crocodile Coin(s) you sell Kitco do not have to be in mint condition.